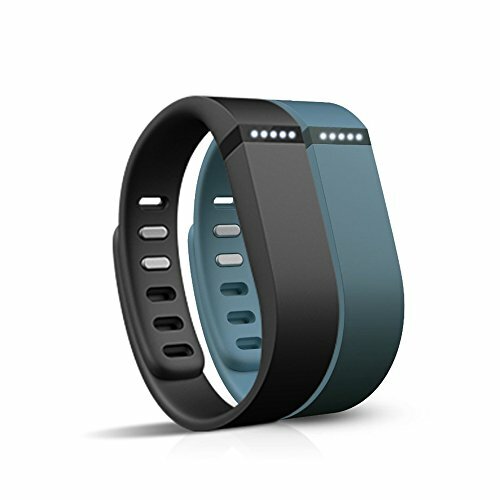 Store Home » Fitbit SmartWatch » Fitbit Replacement Bands for Fitbit Flex. Large - Black and Slate - Two Pack. Offered By Teak Products. Fitbit Replacement Bands for Fitbit Flex. Large - Black and Slate - Two Pack. Offered By Teak Products. Customize your fitbit flex to your outfit, mood, or style! Couple your great look with a 100% satisfaction guarantee. If for any reason you are not satisfied with your purchase, return the product and we will give you a full-refund; no questions asked. Customers of our products agree that this replacement band is more durable than the original! The replacement Fitbit Flex wrist bands are a fun and comfortable way to keep your Fitbit Flex matched to your personal style.